I walked out of the Holiday Inn and sucked in deep breaths of air. Shadowy scenes from five months earlier tumbled around my head, seeking to push out all other thoughts. How could something that hadn’t even happened to me evoke such traumatic and pain-filled memories—all because I checked into a Holiday Inn? But it happened to our daughter, and I had just experienced a flashback by proxy. To my knowledge, no psychiatrist has identified this phenomena, but the shadowy scenes that replayed themselves in my brain felt as if they happened in my presence—only, just like five months ago, I couldn’t intervene. I breathed in the fresh air and gazed at the faint line of mountains in the distance and breathed out a prayer for help. “All things work together for good to those who love the Lord,” I reminded myself. I only needed patience and faith to banish the scenes and return to our vacation plans unscathed by what I couldn’t control. The story really started almost thirteen years ago when my husband, Pedro, received a cancer diagnosis on the weekend of our youngest daughter’s eighth birthday party. Until that time, our family had bobbed along in the regular old all-American-average-Christian-family-of-four boat. Pedro and I both taught school and our schedules allowed us to spend lots of time with our precious daughters, Laura and Sarah. I worked hard on my parenting skills and strove to create memories, sisterhood and a love of God in our girls. Pedro balanced out my helicopter tendencies and the giving of girly gifts to them by doling out responsibility as they earned it, teaching them how to build and fix, and giving them gifts of tools for their toolboxes at every major holiday. Cancer threatened all of that, and we (especially me) launched into fight mode. After diagnosis and a few treatments, we celebrated remission—and than found out Pedro’s cancer had returned, this time to his central nervous system. God’s grace carried us through the next four months of utter uncertainty. At times, I didn’t even know where our daughters had spent the night. After Pedro’s stem cell transplant on January 3, 2003, life inched toward normal. It took time to pick up the pieces and figure out our new reality. Cancer changes everything, but I glibly thought that we had emerged unscathed except for a few physical scars that Pedro carried. 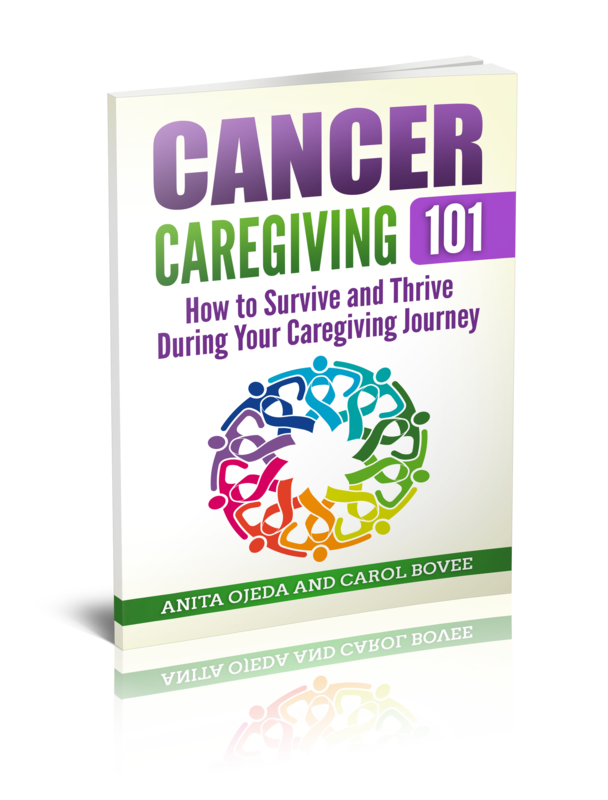 I experienced the corollary to cancer—rapid weight gain and stress from my role as caregiver. After Pedro’s miraculous recovery from cancer, I struggled with undiagnosed depression and chemo-brain by proxy. Eventually, I managed to shed about 50 pounds of my caregiver weight. With my energy revitalized, we decided we needed to live debt-free, so I moonlighted at a Christian bookstore whenever I could in order to augment our income. I realize now that I had overloaded myself at the expense of my family—I had assumed that they needed the money I could bring in more than they needed time with me. Fast-forward to 2009, the beginning of Sarah’s sophomore year of high school. I had spent six weeks of the summer in another state working on continuing education classes. Both Laura and Sarah worked in town that summer—riding their bicycles 16 miles round trip to their jobs at a local fast food restaurant. His words haunted me, and Pedro and I discussed our diminishing daughter at length. Sarah had started to limit the foods she would eat—going from a vegetarian diet to a vegan diet. We tried to accommodate her preferences, but by January, we decided perhaps she had gone too far in her strange eating habits—they had turned our easy-going daughter into a reclusive critic who isolated herself from her friends and family over food choices. I read a book about orthorexia (Health Food Junkies: Orthorexia Nervosa – the Health Food Eating Disorder Steven Bratman M.D. and David Knight) and decided that Sarah must suffer from that rather than anorexia. Her obsession with right eating and exercise had whittled her 5’8” frame to 105 pounds. A visit to her pediatrician really frightened us—Sarah had the early stages of osteoporosis. Her doctor diagnosed her with female athlete triad syndrome rather than anorexia (orthorexia—or a compulsion to eat healthfully that mimics the results of anorexia, including isolation and weight loss—had not been officially accepted as a diagnosis by the American Medical Association), and suggested that Sarah start seeing a nutritionist and perhaps a counselor. Pedro and I told her that she could either start eating what we ate and gain some weight, along with attending weekly sessions with a counselor, or go to an inpatient program for eating disorders. We gave her a few days to choose what she wanted to do. Clearly, cancer’s legacy reached further than we ever imagined it would.